When print quality, productivity, application flexibility and management simplicity matter, choose the leader of the class — the ZD620. As the next generation in Zebra’s desktop printer line, the ZD620 replaces Zebra’s popular GX Series and ZD500 printers, rising above conventional desktop printers with premium printing performance and state-of-the-art features. With virtually every modern wired and wireless connectivity option and support for many printer languages, deployment is always fast and easy — just unplug your existing printer, plug in the ZD620 and you’re back up and running. An optional 10-button interface with a color LCD makes it a snap to configure. Add new connectivity and media handling options whenever you need them, right on site. You can monitor and manage all your ZD620 printers, along with other Zebra mobile, desktop and industrial printers, from the cloud for unsurpassed management simplicity. The ZD620 runs Link-OS and is supported by our powerful Print DNA suite of Applications, Utilities and Developer Tools that give our printers better performance, simplified remote manageability, and easier integration. 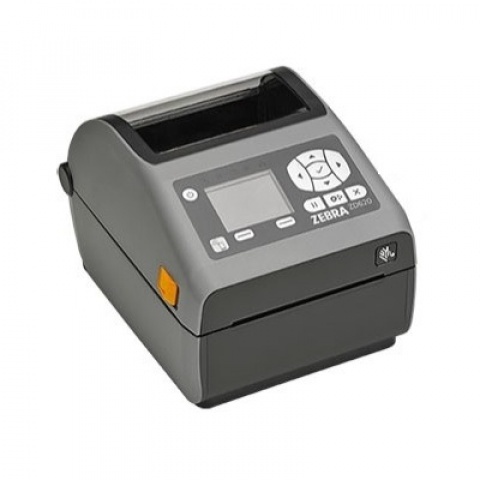 And our optional Zebra OneCare service will help you maximize the availability and productivity of your ZD620 printers with unmatched from-the-manufacturer support that covers everything. The ZD620 — delivering the maximum throughput, print quality and manageability you need to keep your business moving.